Do you love clothes? (Yes, of course, you do) Do you love clothes that are on sale? (Duh) Do you love clothes that will have you looking glamorous 24/7 no matter how you style them? If you responded yes to all those questions, which I already know you did, then you should check out AMI Clubwear's wide selection of clothing, shoes, accessories, and even swimsuits. 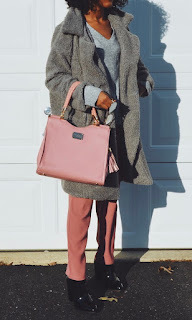 In the first picture above, I am wearing their Grey Long-sleeved faux fur trench coat; I styled the coat in a very simple, minimalist way with neutral colors and pairings of pink. In the second picture, I am wearing their Royal Blue thigh-high velvet boots, styling it in a simple yet chic way with a graphic tee. 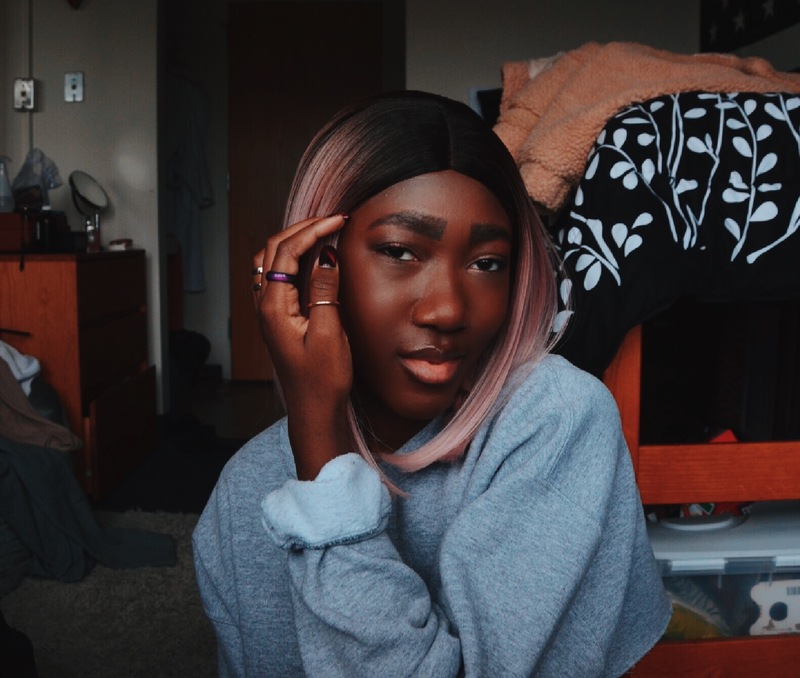 In the final picture, I am wearing their Black beige long-sleeved sweater dress, perfect for a night out with friends while staying comfortable. Honestly, I would not promote their clothes unless they are worth it and affordable. As their new Fashion Expert, I want to keep my readers up to date with new online stores that offer a vast collection of stylish apparel. Another favorite of mine is their pearl accent gold body chain/bralet that is perfect for the summertime when paired with a casual bralet underneath it. Check out their website here if you love what you see or just need some time to browse a new clothing site. Those blue boots are awesome! The colour really pops!